Getting hold of an email account is easy – sign up with an ISP, register with Google, buy a website hosting account – but free and standard packages won&apos;t always deliver the quality that professional users need. Email hosting plans are an easy way to get a more efficient and reliable service. Exactly what&apos;s included depends on the provider, but you might get support for larger attachments (up to 50MB), 50GB or more storage space for your inbox, online storage for easy file sharing, bundled apps like Microsoft Office online, Exchange and Active Directory support for business users – not to mention 24/7 support if anything goes wrong. Your email will work with a custom domain ([email protected]), and it&apos;s typically straightforward to set up. You can use an email hosting plan to effectively replace your web host&apos;s service, or you can try one without having any hosting at all. 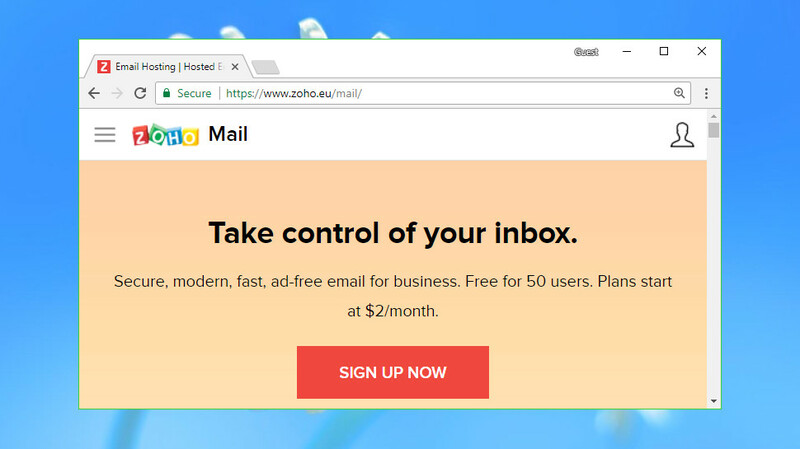 With quality services priced under $1 per month per user, and free trials available, it&apos;s easy for anyone to check out the email hosting market. Whether you&apos;re after an individual account or would like to cover your entire business, read on for five great providers that you might want to check out first. What’s the catch then? For a start, while you get POP3 and IMAP4 plus 24/7 support, this is more of a barebone solution. You get to choose between three webmail applications (the equivalent of Outlook.com or Gmail.com); Horde, Roundcube or Squirrelmail. You can of course configure an email client like Mail for Windows 10 or Mozilla Thunderbird to read your emails offline. Creating a new email address is a doddle thanks to an easy user interface. An extended Plus account adds unlimited storage space via archiving. That might be handy if you think a 25GB inbox is too small, but we&apos;re unsure if it&apos;s really worth the $6.99 price tag. 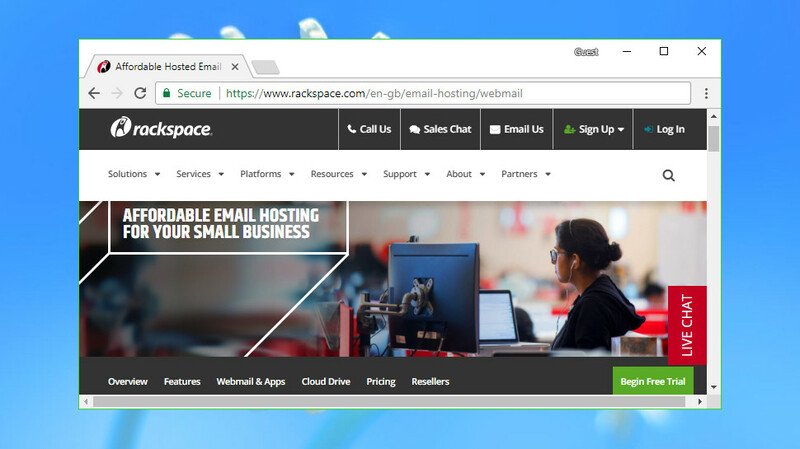 More demanding users can check out Rackspace&apos;s Hosted Exchange 2016 plans. Specs include 100GB inboxes and support for 50MB attachments, and the starting price is $10.99 per mailbox per month. Email hosting can seem expensive, and that&apos;s largely because the big companies are forever competing to offer the largest amounts of inbox and file storage space. That&apos;s great if you need it, but not so much for light email users looking for a bargain. Signing up gets you five Mail Lite accounts with a tiny 100MB inbox and a maximum of 10MB attachments, and two Mail Extra accounts with 2GB inboxes and support for attachments of up to 15MB. Both products give you webmail access only. That&apos;s limited, but look at the price: just $2.60 (£1.99) a month on the annual plan (at the time of writing, you can get 50% off). If your users genuinely don&apos;t need the gigabytes available elsewhere, Fasthosts more basic package could make a lot of sense. 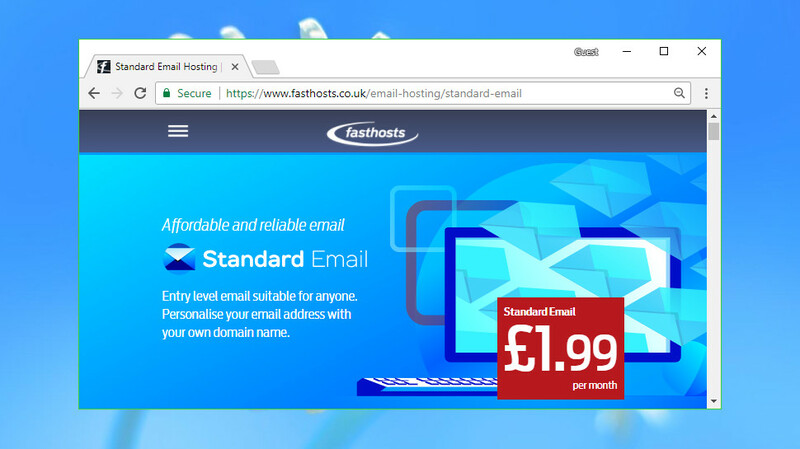 Fasthosts also offers a more capable Exchange Email product with a 50GB inbox, access via Outlook&apos;s web app, and even a free domain for the first year. It&apos;s priced at $5.8 (£4.49) per month for 5 or more users with the annual contract. You can also choose a 100GB inbox for $13 (£9.99). As before, Fasthosts is focusing on price more than power, but if you only need a basic Exchange account, there&apos;s plenty of value here. Microsoft Office 365 isn&apos;t just a powerful suite of productivity apps. It also throws in a very capable email package, and for less money than some providers charge for email alone, which could make the service worth a place on your shortlist. 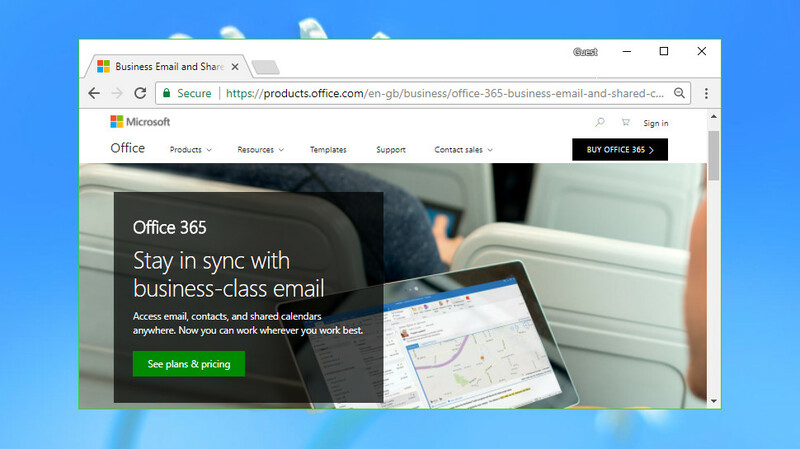 Microsoft Office 365 Business Essentials offers support for 150MB attachments, for instance, three times the size allowed with even some premium competitors. 50GB of storage per user (and a custom email domain address) means you&apos;ll be able to keep your messages for a very long time, and there&apos;s 1TB of online storage available in your OneDrive account. Access to Office Online enables working with Word, Excel, OneNote and PowerPoint documents from within your browser, and there&apos;s a whole range of business-friendly extras: calendars, online conferencing, intelligent search, workflow automation and more. If you don&apos;t have Office 365 already, the Business Essentials price of $5 a month (for annual billing) looks like good value to us. If you&apos;re solely interested in business class email, though, Microsoft&apos;s Exchange Online Plan 1 provides Exchange accounts for $4 per user per month on the annual plan. 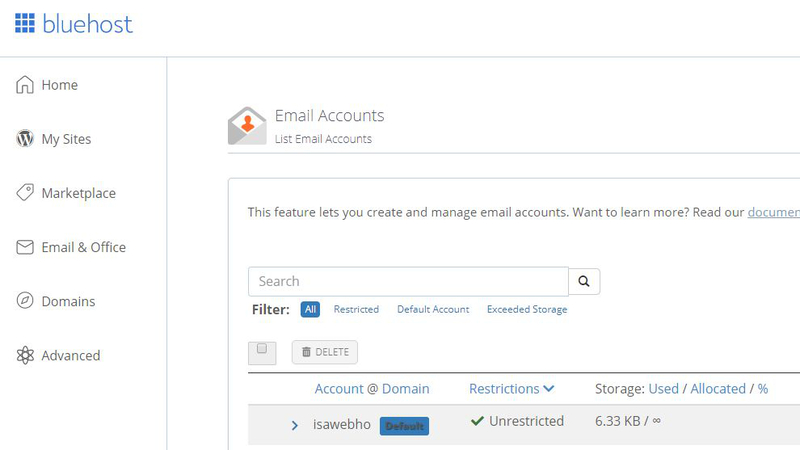 A free plan gives you 25 mailboxes with up to 5GB per user, a 20MB attachment limit and webmail access. A referral scheme could get you support for a further 25 mailboxes (at the time of writing the referral program wasn&apos;t available due to remodeling). If that&apos;s too basic, the Standard plan gets you IMAP and POP support, 30MB attachments and 30GB of storage, 5GB file storage space, and support for working with multiple domains. That&apos;s more capable than some of the premium competition, and includes the same productivity tools as the free suite, yet still only costs $3 per user per month, billed annually. Zoho&apos;s Professional plan gets you 100GB of storage (per user), 40MB attachments, support for Active Directory groups, and more. It&apos;s yours for $6 per user per month (billed annually), not bad at all for the storage space and features you&apos;re getting. Also, Lite plan is available with less features, but it&apos;s only $1 per user per month, billed annually. Note that you will need to buy LW&apos;s Premium Web Hosting in order to get their email service. They do not sell it as a stand alone service. The baseline Standard plan offers POP, SMTP and IMAP access, supports 50MB attachments and gives you a decent 25GB of storage space. The ability to import contacts from Gmail, Outlook and more gets you set up quickly, spam protection is handled via top quality Cloudmark technology, and you&apos;re able to set up custom email filters and rules as required. Liquid Web charges a flat $10 a month fee for your account, but after that, each Standard plan mailbox costs only $1 more. If you need five or more mailboxes, that&apos;s going to be very good value, especially for the high level of support on offer. The Plus plan enhances the service with 30GB of cloud storage, mobile sync for contacts and calendars, and online editing of spreadsheets and documents. This also includes a one-off $10 service fee and is $3 per mailbox, potentially a very good deal if you&apos;re catering for a lot of people. 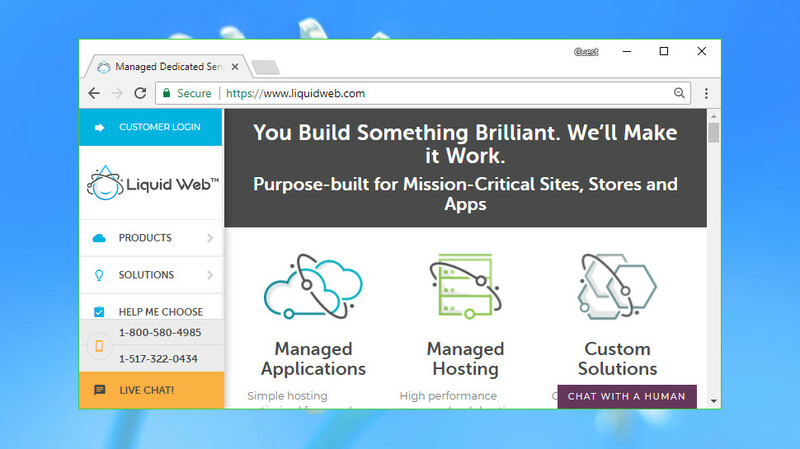 Its price of $10 a month isn&apos;t quite as impressive value as its low-end cousins, but Liquid Web does allow you to include Exchange and Starter or Plus accounts in the same order. You could have 10 Starter mailboxes and two Exchange for only $40 a month, for instance, and that competes well with even big-name budget providers.